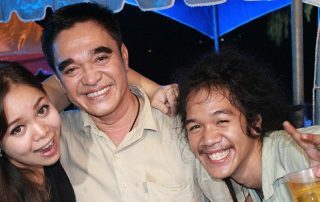 A press conference was hold on April 19, 2019, at Blue Elephant, in Phuket old town, by Phuket officials to announce the yearly colorful Baba wedding ceremony. 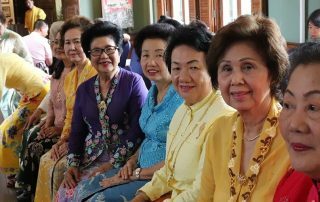 The event gathered members of the local government and businesses which support the traditional wedding, together with many local families, all dressed up in Peranakan style. Read on the news titled "Yearly Baba wedding tradition to take place in June 2019". On April 5 and 6, 2019, Boat Lagoon welcomed the What The Fun Festival 2019, an event aiming at promoting local products in a fun and family-friendly environment. 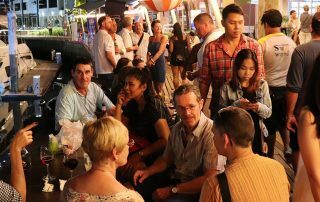 Among the participants of this 2-day event were Phuket Town’s favorite Dibuka, 23 Restaurant and the Irish Pub in Patong to name a few. Also present to spice up these evenings were Tiger Muay Thai, from Chalong, and the Big Gym, offering some interesting activities such as aqua gym. All the vendors showcased their products alongside great DJs, celebrity food & beverage offers and a fashion show. 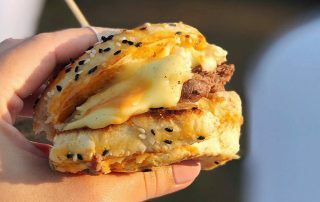 The fifth edition of Phuket Best Burger kicked off on March 30, 2019, at the Boat Lagoon Phuket. Over 30 hotels, restaurants and burger professionals gathered to battle in this yearly competition. This year, the winner of Phuket Best Burger is Prime Burger Patong Beach, while the best vegetarian/vegan burger is Le Meridien Phuket Beach Resort. Congratulations to the two of you! 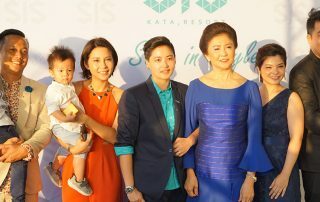 A new boutique hotel has open its door in Kata and goes by the name of the SIS Kata, as the original concept comes from three sisters who have worked days and nights to bring this vision to life. This stunning property is completed with a rooftop swimming pool and restaurant offering unobstructed views over the Andaman Sea. More than 100 people attended the ceremony, where tasty food and refreshing beverage were served all night long. 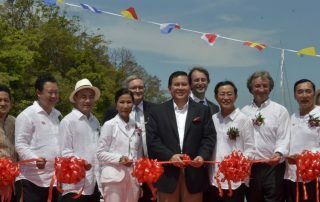 Karon Beach Square, an iconic dinning and entertainment destination in Karon, celebrated its one year anniversary at the end of February. Hundreds of guests joined the event, which features food from the four restaurants sharing the avenue; El Gaucho, a premium steakhouse, OrientAsia, specialized in Thai food, MINT, a casual bar where you define your own fun, and Cafe Studio, which offers plenty of snacks and delicious Movenpick Ice Cream. The inaugural Thailand Yacht Show was a great success and joined the rank of international marine exhibition, alongside the famous PIMEX. Plenty of officials, media and marine enthusiasts showed up to enjoy the seeing of high-end luxury boats, as well as a lot of marine related products available throughout the exhibition. We are looking forward to joining the second edition of the Thailand Yacht Show next year! 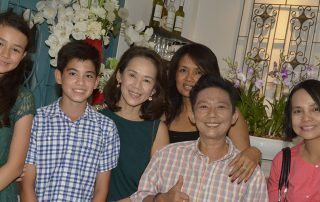 Blue House is a cozy and comfortable restaurant, which opened in Chalong, close by the the Chalong Police Station. It offers a specific Thai fusion food, delicious spicy pasta and an impeccable service. Media and friends were invited to the Grand Opening, where a playful band entertained the guests who were seen enjoying the food on offer and the selection of drinks. Feel free to drop by for lunch or dinner; you will certainly not regret it. 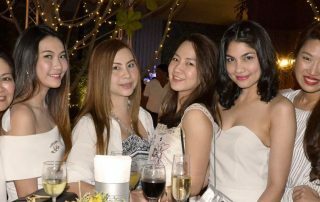 The Grand Opening party of On Top Patong, one of the trendiest beach club, which, surprisingly, is not located on the beach. A plethora of shows and entertainment were organized for the pleasure of the numerous guests who enjoyed a selection of drinks and delicious food prepared with care by the talented Chefs. On Top is located on the rooftop of the Swissotel Patong, nearby Hard Rock Café and Hooters. It is recommended to arrive early should you wish to enjoy one of them gigantic sunbeds. 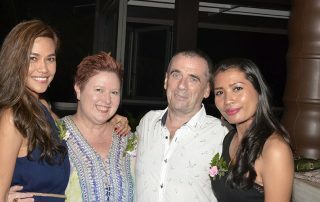 Mai Khao Dream in Natai, now renamed as Natai Beach Resort & Spa, invited friends from the media and returning guests to the relaunch of their sea view restaurant, FireFly. A great selection of food was presented to the attendees, alongside a free-flow of selected beverage and the melodic tunes of talented violinist Alexander. Natai beach is located a few kilometers north of Phuket, passed the Sarasin Bridge, and the resort has direct access to the gorgeous and immaculate sandy beach. 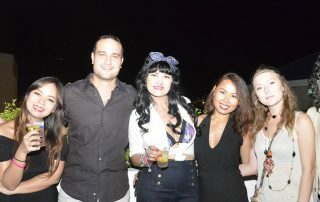 A great night out at Bliss Beach Club under the theme Super Moon Blues for the first ever Pop Up at Bliss. Silent auctions were organized to raise money for the Phuket Has Been Good to Us Foundation in Phuket, and guests had the pleasure of tasting a variety of food prepared by seven hotels and restaurants popping up for the night. Great sounds of Blues and Soft Jazz accompanied the diners through the night.